The Washington County Historical Society was founded in 1985. We are a 501C-3 organization whose sole purpose is to promote the preservation of the heritage of Washington County, Florida. Please remember you are now in the sunshine state's Washington County, it seems that just about all states have a Washington County in honor of our first president. However, if you are lost, there is no better place to be than right here. 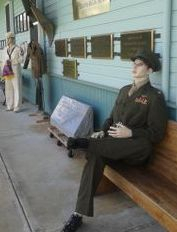 This site is in the process of being filled with the history and stories that make this part of Florida so unique. Please check back with us and experience Washington County, Florida, come to life. The Veteran's Wall is complete! Come celebrate the addition of this memorial to the Farmer's Market Complex. 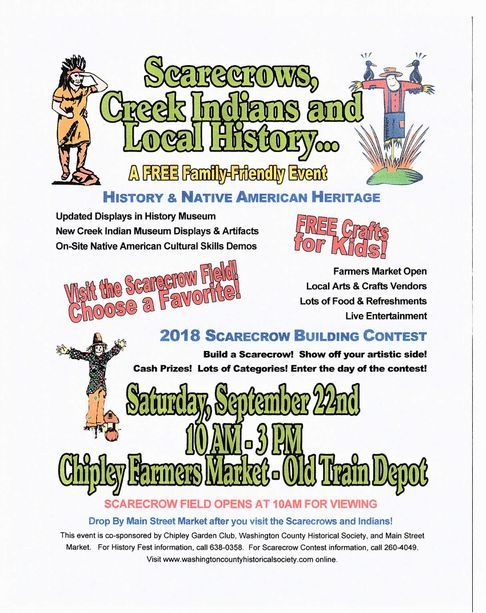 Download or print your Contest Rules and Entry Form by clicking on More and selecting Scarecrow Festival in the Toolbar at the top of the page.